← What Can You Do To Save Money at the Pharmacy? When you are looking for a drugstore in Palm Harbor, Florida there are a number of things to keep in mind. Every pharmacy is going to be different. They all offer different kinds of services, products, prices, and more. Some will work great for others and not so much for some. This is why it is important to take your time in order to find a pharmacy that is able to meet your needs. The internet is a very powerful tool that is at your disposal. With a few quick searches, you will be able to find just about every single pharmacy in your local area along with their websites. Here you will be able to easily figure out what kind of products and services they are offering. You can also check out customer reviews. These reviews will allow you to quickly determine if the pharmacy you had in mind is worth your time or not. When your doctor gives you a prescription for medications, it would be a good idea to ask them if they can recommend a pharmacy. These medical professionals handle medicine all the time and should have a good idea of which pharmacy provides the best products, services, and prices. Another option you can try is to ask your friends and family. Chances are they know some pretty good pharmacies you could visit and at the very least can help point you in the right direction. In order to make sure that the pharmacy is the one for you, just give it a try. Visit an interesting establishment and take a look at what they offer and see if they can meet your needs. Those are just a few of the many things that you will want to keep in mind when it comes down to finding an exceptional pharmacy. 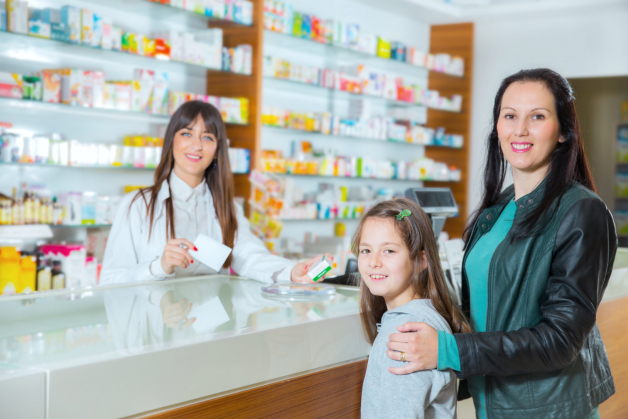 Make sure to take your time to find the best pharmacy services in Florida. If you want to find out more about what we can do for you, please do not hesitate to get in touch with our friendly staff at St. Mary Pharmacy anytime for more information. This entry was posted in Pharmacy Services and tagged Best Pharmacy, drugstore, single pharmacy. Bookmark the permalink.